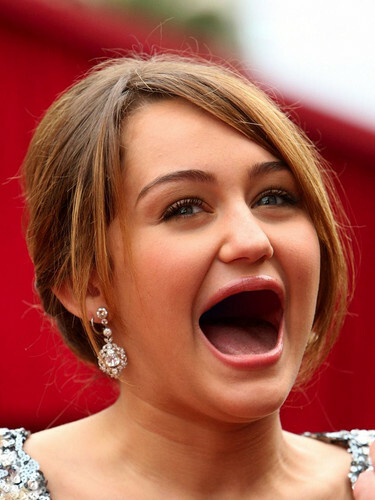 MILEY WITH NO TEETH! . . Wallpaper and background images in the Miley Cyrus club tagged: miley cyrus funny hilarious no teeth. This Miley Cyrus fan art might contain portrait, headshot, and closeup.